Complex says: After leaked footage of a 2007 American army assault in Baghdad surfaced on the net, the whistle-blower website created a frenzy all over the world. 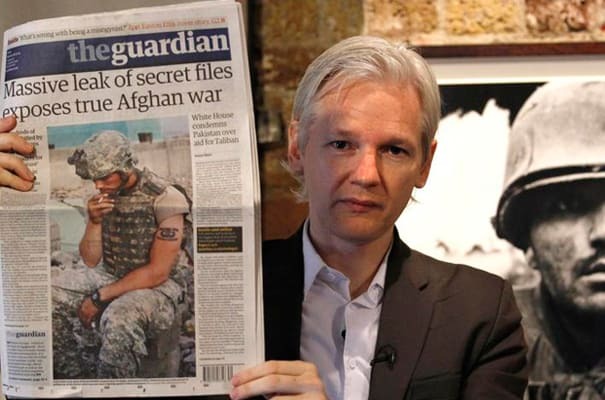 Wikileaks' creator, Internet activist Julian Assange, quickly became Public Enemy No. 1 with his radical actions: leaking over 92,000 documents related to the Afghanistan War, classified U.S. counterintelligence reports, and other top-secret files that have jeopardized national security and damaged international relations among world superpowers. Governments consider him the antichrist, activists consider him a role model. Us? We just think he’s one of the ballsiest motherfuckers in history. Salute.